Mölkky is the newly launched game made out of wood from replenishable forests. It´s a game for outdoors and for all the family to join in, it´s become an instant hit in Finland and is set to be the rage everywhere. The first player to knock down skittles to the value of 50 points wins. A simple game for a variety of skills makes is playable by the entire family, toddlers to grandparents. Great for famly gatherings, camping trips or just at home in the garden or backyard, Mllky will fast become a family favourite. 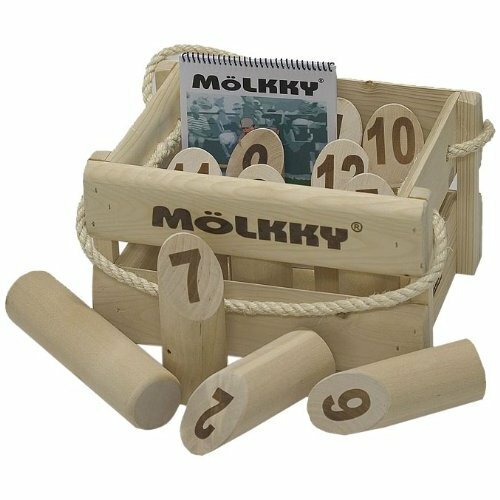 Visit Möllky to read more about Mollky and their other games or Carousel Toyshop in the UK to buy it.